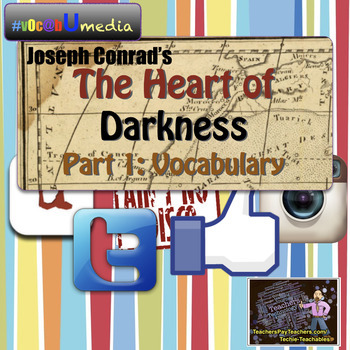 #vocabUmedia for Heart of Darkness Part 1 uses social media prompts to make traditional vocabulary more engaging. 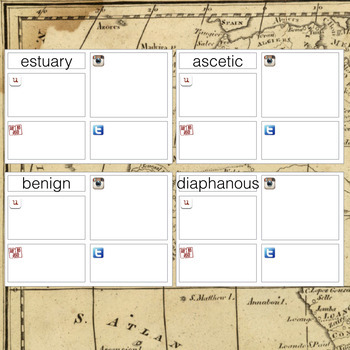 The vocabulary cards have an area for students to write a definition, draw a selfie (image), Tweet a sentence, and more! Students will enjoy this fresh take on traditional study methods. No prep needed. Just print and go! Vocabulary terms reinforce scientific concepts about ecosystems, biomes, habitats and more. Includes a vocabulary cards and matching game.